The Art Shed is attended by all students of the school, from the youngest of the pre-kindy up till the oldest ones in 6th grade. All students have at least one hour of teacher-facilitated art education per week. Alieta Belle, the art teacher (and an exceptional visual artist), tells how usually students do art that relates to what they are doing in class. 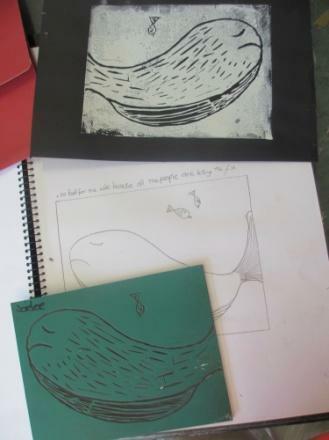 The year 6 students are exploring the topic of sustainability and have made linoleum cuts expressing their thoughts, feelings and wonderings. At first Alieta introduces the tool: the material of linoleum. 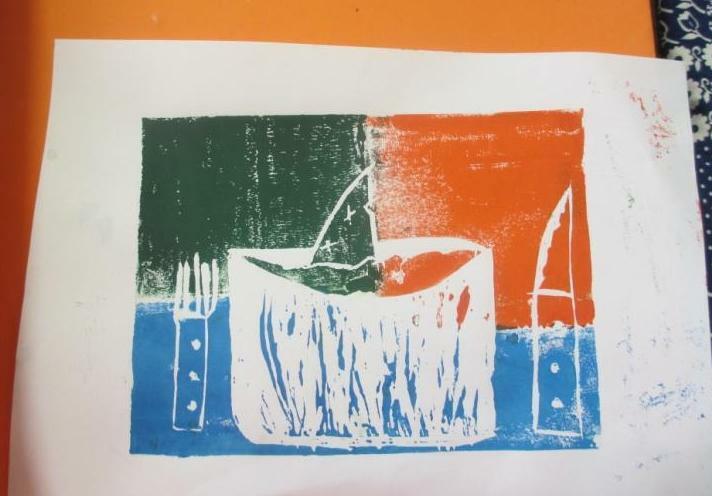 Children start learning the skills needed while experimenting and exploring the carving tools and the printing process. Then she facilitates children looking at the theme of the class: all possible aspects of sustainability, and ideas arising from those. They also explore how different colours give different feeling. 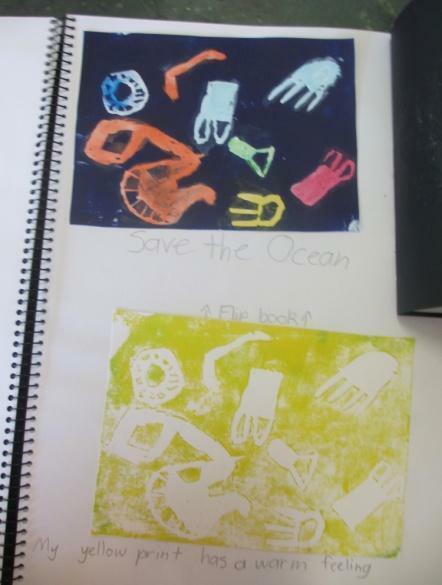 According to Alieta, art class gives children an opportunity to do something with their hands. The main idea can be put as simply as: children get to do art. She likes to give freedom for children to explore colours and textures. Most importantly, she acknowledges the deeper learning that can happen in the child-led process. This learning is scaffolded by the teacher, who offers basic aspects of knowledge, and when children get excited about the learning, the teacher allows them to take the lead in the learning process. Recently, when visiting the creek, children found fungi, and a whole project of learning came from that, as opposed to entering the creek grounds with a teacher limiting and defining what to study today. Alieta has established a protocol on how to visit the creek. Children learn that it is a living home for animals and plants, and that they are visitors, guests in that space. She and children will clap three times, then walk in silence down the path to the creek. With this approach she creates a reflective process for children; after each visit and exploration at the creek, they write in their journal about their experiences. “My Creek Journal” contains a colourful collage of drawings and writings. There can be a mental map of the day’s visit, actual maps of the creek, including details and landmarks, such as big ferns, rocks, where a catfish was sighted, etc. Alieta guides a visualisation with children of their favourite place along the creek, then asks them to draw it. In this way, children can deepen their experience, reflect upon it and find ways to verbalise their thoughts. 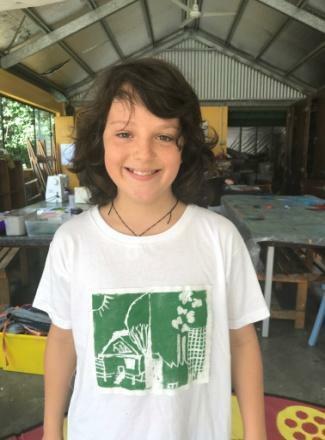 Art classes can be extended in various ways: a lino cut printed onto recycled material, such as old linen sheets, then sewn on a T-shirt. River School children wear those with pride. So far they have done designs on endangered animals, appeals for no fishing (a plate of shark-fin soup! ), planting trees, and so on. Apart from their normal scheduled art class, children can do art during their lunch hour two days of the week, when Alieta is available to assist them in whatever art they might choose to do. She sees that those lunch hours have become important moments and avenues for some children. They seem to use the time in art shed for processing their learning, integrating aspects of their impressions. Art shed has a calm creative environment which is also helpful for children with special needs in socio-emotional areas. In the nurturing environment of the art shed, doing art can be therapeutic for some. 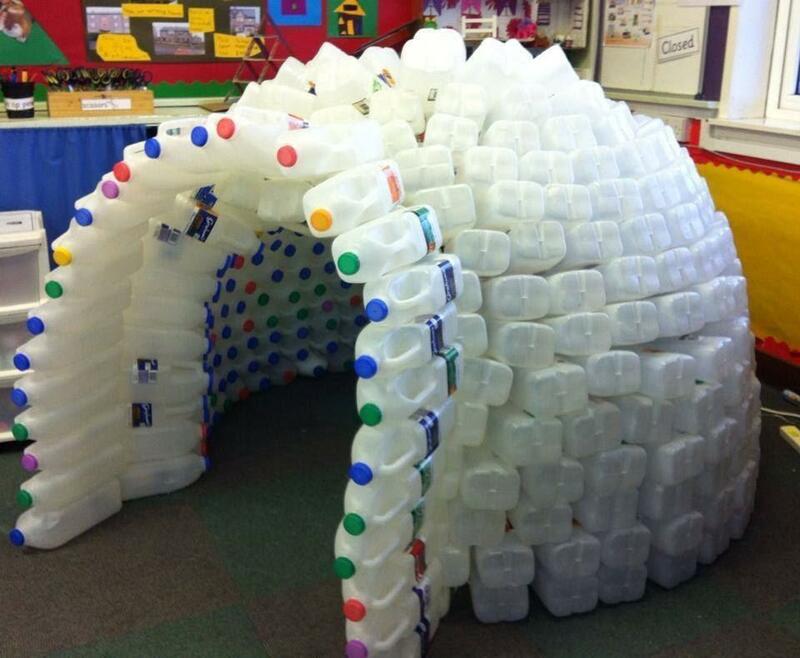 One of the art projects this year with 5th grade students is an igloo made with recycled plastic milk jugs. We will be taking part in an annual local event, “Kids in Action”, which is a program organised by the local council of Sunshine Coast. All households in the council area pay rates for rubbish removal, sewage, water and other council services. In the normal water bill there is also an environmental levy included, which is used to fund the Kids in Action event. This event will take place in September, when 300 children from five pre-chosen schools will attend. The idea of the Kids in Action Event is that there is a designated learning happening during the whole year, not just five weeks prior to the event. Alieta says that River School is quite a leader in this. 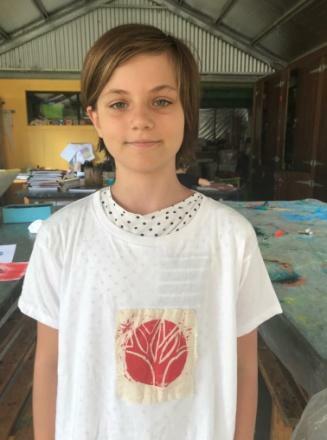 In previous years she and the students have explored paper making and eco-dye fabric, all the while incorporating science into art. They have identified plants, looked at their uses in modern day and in Aboriginal traditions, and have found out how natural colours bond to different fibres: silk, wool, cotton, linen. 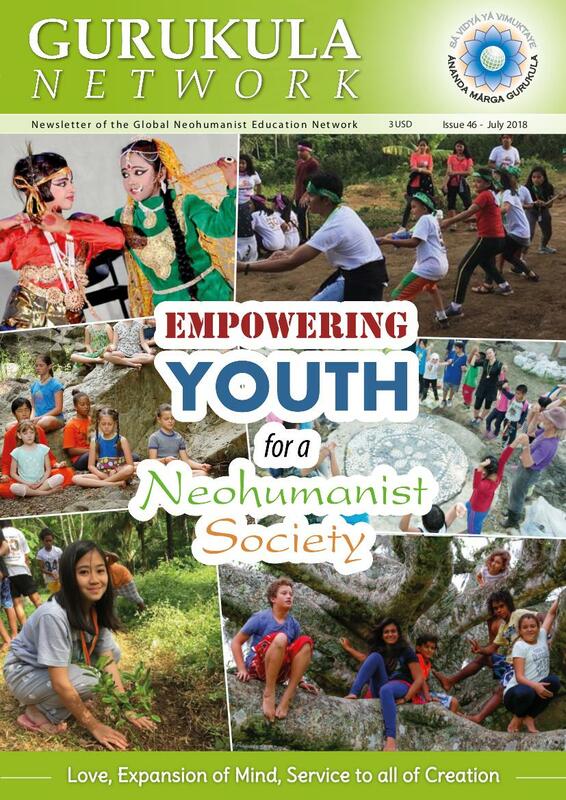 This year’s theme is “Changing climate, changing lives”. Alieta and the students have been looking at the ecology of the earth and climate. They have chosen to build an igloo made of plastic milk jugs. Our Regents, the 5th graders, will present and give a workshop to all other kids in the September event. It will be an art-based workshop to teach an environmental issue; children teaching children. They hope that the message becomes visually very clear; how much rubbish we generate without realising it. They have made a statement regarding the climate change and melting ice-caps, poignantly, with their plastic igloo. 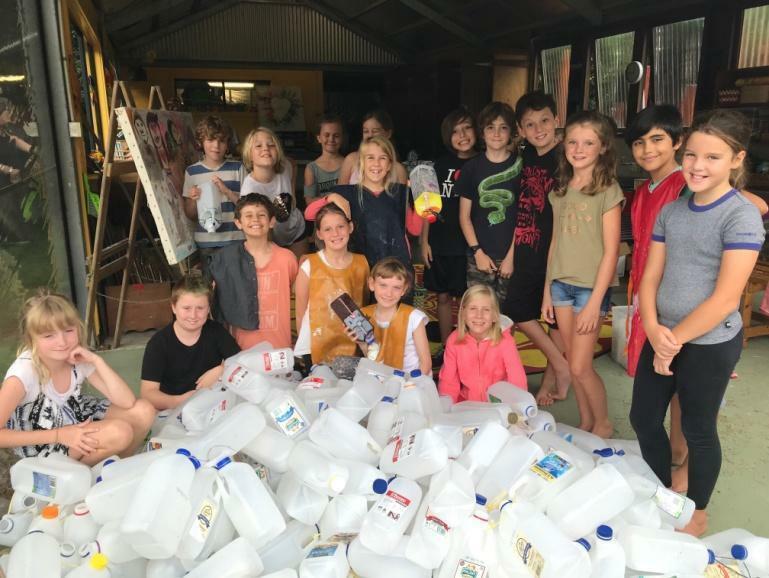 Students had calculated that they would need 400 milk jugs, which was achieved, and construction will start after Easter break, in the second Australian school term. All the children brought jugs from home, and a local coffee shop donated some, too. The process of designing and building has integrated Math into art. Also the value of service, while children have cleaned them. Parents will be helping in constructing the igloo; this will bring the parents to actively participate in the school campus and will nurture the community feeling amongst all. Into the walls of the igloo children have placed messages for people to read. One can enter the igloo, open a lid of any of the jugs and take out a message. With a true Australian wit and flair: It’s a message in the bottle!